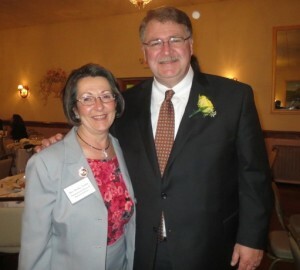 State Rep. Becky Corbin (lelt) poses with former Rep. Curt Schroder, whose accomplishments were difficult to condense in the nomination she submitted for him. A high-achieving, civic-minded entrepreneur; a celebrated author who draws on her legal practice for inspiration; a respected, nine-term member of the Pennsylvania House of Representatives; a decorated colonel whose retirement prompted a crusade to bring low-cost water systems to developing countries; and a globe-trotting orthopedic surgeon who does humanitarian work shared an honor and a passion Saturday night in Downingtown. 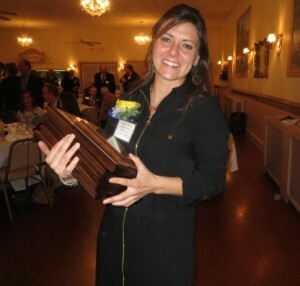 In front of a crowd of more than 100 at St. Anthony’s Lodge, the five were inducted into the inaugural Downingtown High School Alumni Association’s Hall of Fame. The celebration established a well-received tradition at the 130th annual banquet for the association, which holds the distinction of being the oldest continuously active such group in the nation. The ceremony continued the theme of distinctions as the people who submitted the nominations made introductions followed by remarks from the honorees: Hank Hamilton, ’68; Bonnie MacDougal Kistler, ’71; Curt Schroder, ’79; Todd Strong, ’58; and Richard Whittaker, ’58. And what they had in common – besides a roster of accomplishments -was an enduring appreciation for their education. Melissa Menna, a 2000 graduate and third-generation alum, chaired the Hall of Fame committee, working with her mother, Caryn Isabella Menna, ’76, chair of the banquet committee. Melissa Menna told the audience that the Hall of Fame idea came up at last year’s banquet, with several classmates’ wondering why Chester County’s largest school district – and the ninth largest in Pennsylvania, according to Supt. Larry Mussoline – didn’t have a way to recognize outstanding graduates. Melissa Menna, who chaired the Hall of Fame committee, collects the Hall of Fame plaques that will be put on permanent display. Menna said she soon learned that others had raised that same question, and one, a longtime English teacher who lost her battle with cancer a year ago, had begun working toward that goal. The family of Karen Mapes, known for being an avid Downingtown High booster, accepted an award making her an honorary alum for her devotion to the district and her effort to jumpstart the Hall of Fame. That dream became a reality on Saturday night. And in the process, participants agreed that the bar was set high for future inductees. Hank Hamilton, board chairman of Dane Décor, an iconic Downingtown furniture store, said his connection to Downingtown High began at age 10 when he helped his father clean bricks during its construction. Years later, he met Donna Usher, the woman he would marry, in biology class. “I did not have to go far to do what I want,” he said. 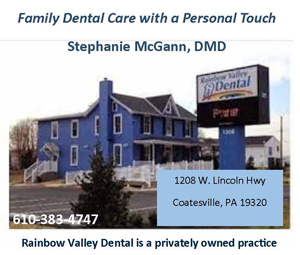 “I love Downingtown.” Hamilton has been active in multiple organizations, including the Downingtown Main Street Association, the Downingtown-Thorndale Regional Chamber of Commerce and the Downingtown Municipal Water Authority. 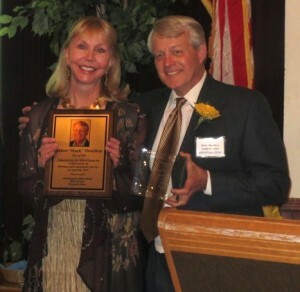 Hall of Fame inductee Hank Hamilton poses with his wife, Donna Usher. The two met at Downingtown High School. Bonnie MacDougal Kistler, a graduate of the University of Pennsylvania Law School, has written four acclaimed novels inspired by her life as a lawyer in Philadelphia, books that have been translated into eight languages. In high school, her favorite saying was “well, it’s possible,” and thanks to support she received all the way, she has continued to dream big, she said. She applauded the committee for setting up the Hall of Fame and said that she hoped that it would inspire others to stretch boundaries. “I’m truly, truly honored,” she said. 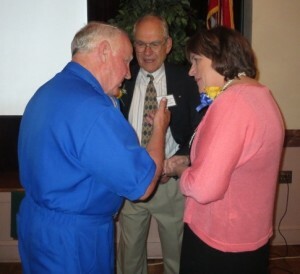 Inaugural Downingtown Alumni Association Hall of Fame members Todd Stong (from left), Richard Whittaker, and Bonnie MacDougal Kistler chat after the ceremony. Todd Stong, a West Point graduate who served in South Korea, Vietnam, and the Defense Nuclear Agency in Washington, D.C., also accumulated multiple awards, such as Bronze Stars with Valor, Meritorious Service, and a Defense Joint Service Medal. Now retired, he traveled to the banquet from Mexico where he is building low-cost water systems for people in need. Strong, who fondly recalls the names of his elementary-school teachers – one of whom he visited when she was 102 – said he wanted to pay tribute to the educators who made his accomplishments possible. “I believe that a lot of what we aspire to be came from the inspiration of those people,” he said. In addition to the Hall of Fame awards, Bill Mason, ’54, who heads the alumni association, recognized two graduating students for their outstanding contributions: Cayla Castelis from STEM Academy and Maura Enderline from Downingtown East. A third honored student, Thaddeus Schlamb from Downingtown West, was not able to attend. And State Rep. Becky Corbin and State Sen. Andy Dinniman presented the students and the Hall of Famers with commendations from their respective legislative bodies.